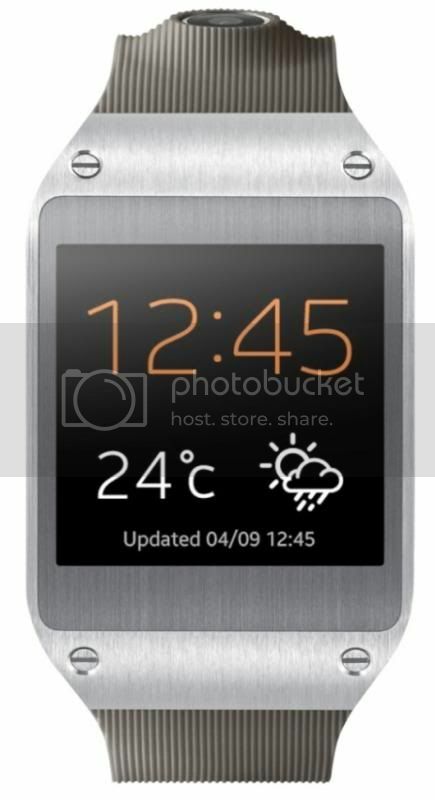 All of us were so excited when Samsung was going to announce their very first smartwatch-Galaxy Gear. After all the wrist is going to be the next big "Real Estate" that gadgets maker are going to target on. 2 days have gone (since 4th of September), we saw Samsung Galaxy Gear's arrival and I was a bit upset that it was nothing really much to shout about. Relatively speaking Galaxy Gear does pack a punch but it fell short from most of our expectations. What do you think? Samsung Galaxy Gear-What's your colour? Samsung Galaxy Gear comes in 6 different colours (as in wrist bands). It sports a 1.63inch AMOLED display (instead of the rumoured 3) with a 320x320 pixel resolution. Deep in Samsung Galaxy Gear, there is an 800-megahertz processor (instead of a dual-core 1GB) processor pulling all the strings. There is 512MB of RAM which I doubt will be sufficient in the long run. On the bright side, Samsung has included an impressive 1.9MP autofocus camera. Do you fancy a Galaxy Gear? As expected Samsung Galaxy Gear comes with S Voice which will be very useful for users. Thankfully Galaxy Gear is fitted with Bluetooth 4.0 instead of .03 and there are 2 must-have sensors: accelerometer and gyroscope. Perhaps one of the reasons why Samsung Galaxy Gear will cost you a bomb-US$299 (RM999) is its 4GB of integrated storage which is very, very ample. Samsung has claimed that so there will be 70 apps available. The White version of Galaxy Gear with 1.9MP camera. 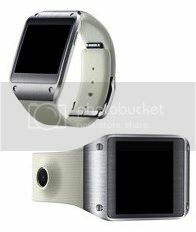 Unfortunately unlike Sony Smartwatch 2, Galaxy Gear is claimed to be only compatible with Samsung devices and for now, it will be exclusively available for Note 3. A move that is self-limiting if Samsung were to shackled their own legs. Moreover I doubt that the tiny battery 315mAh of Samsung Galaxy Gear can even last a day of "regular" 24-hour use. We are so not going to plug it into the wall right? As for now I don't think Galaxy Gear can even match my Vibratable G-Shock Casio Watch that can last up to 10 years without charging. Beat that! VERDICT: If you value fashion over functionality, Galaxy Gear seems like the timepiece that you can flaunt at events to impress your geeky friends. However given its exorbitant price and short battery life, Galaxy Gear is an expensive fashion statement that will not be pragmatic in the long run. 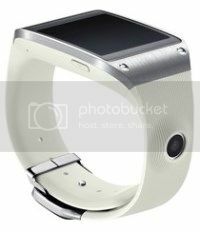 Last but not least, I do feel that Samsung has been rushing this Galaxy Gear just to beat the others (Sony, Pebble, Apple?). So I don think that Galaxy Gear is an unpolished device from Sammy. What say you?